Smiles Depot is a dental home for all your oral health needs. We provide family dental care to patients age four and older to protect, maintain, and restore oral health into smiles! 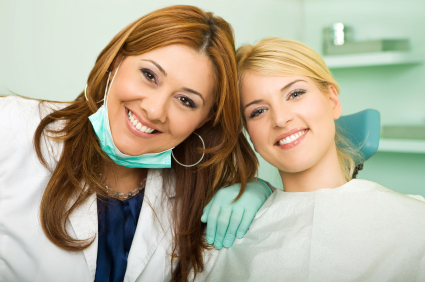 We offer dental services in Lodi and Stockton for your convenience. From implant dentistry by a board-certified specialist to dental care for children with a visiting pediatric dentist, we care for developing and aging smiles. If you or a loved one have not seen a dentist in over six months or are experiencing dental pain, we encourage you to schedule an appointment today! We combine our specialized training and experience to give you the best oral health results possible. Our team offers a gentle and compassionate chairside manner to help you relax while under our care. With a dedicated, hardworking, and pleasant staff, Smiles Depot is a dental home you can trust. Whether your treatment includes filling a cavity, root canal treatment, or placing mini implants to support your denture, we will restore function and aesthetics to your bite. Our success is a reflection of your best smile! Our investment in your oral health includes combining tried-and-true methods with the latest and most advanced training, equipment, and proven services. We use cone beam x-rays, CEREC technology, and intraoral cameras to help us detect dental issues, restore function, and create strong, beautiful restorations that will last. We give you and your family the best possible dental care, just as we would for our family members. If you are new to the area or are looking for a family dentist, who can care for the oral health needs of your family, contact the office most convenient to you and your busy lifestyle. Our offices are located in Lodi and Stockton, CA. Schedule an appointment today. We look forward to meeting you!